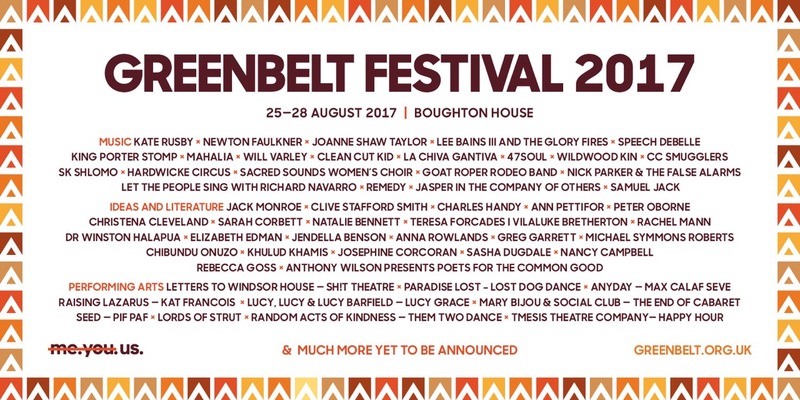 I am extremely happy, excited and grateful to have been asked to read poetry at this year’s Greenbelt Festival, alongside Nancy Campbell, Sasha Dugdale and Rebecca Goss, and introduced by Anthony Wilson! More details coming soon. Find out more about the festival at the Greenbelt website.